Future Print Newspapers will speak and tell their story? Digital technologies are blurring the gap between offline & online media. Once of such innovative use of the digital marketing technology is the development of a Quick response code, popularly known as QR code. Using QR code one could integrate a cryptic looking code and embed it as part of the print ad. This is a software generated code which when printed, as a square block, to any print advertisement and when pointed by a GPRS or Internet enabled smartphone, and scanned by a bar-code reader software could help user land to a particular internet destination/ watch a video or go to a social networking website. The usage is limited as due to minimum size requirements, internet bandwidth, hosting of mobile optimized web content and Smart phone and usage of generic bar code reader software. There is an increased trend in usage of mobile internet and the adoption of the smart-phone devices. The mobile internet is projected to grow world-wide and cross-over the web based internet access in 2015. For QR code technology to gain mass momentum there are two road-blocks, one in terms of the usage of universally accepted bar code scanner software so that user is not bound by downloading a new reader software every time he see and scans a new printed bar code. Second this technology is still not matured to the aspect that it can scan a small code size. There is a similar digital technology which is called AR or artificial reality which recognizes a specific image rather then universal code. How news print title could have a QR Code integrated? The future newspapers would have a micro-sized QR code integrated on the title of the news item itself so that when a user is not interested to read the news item he could scan the code using any smart-phone and the entire news item is download on his mobile. He could then either listen to the news item or view as video clip. So in a way the newspaper would sing or tell their story. 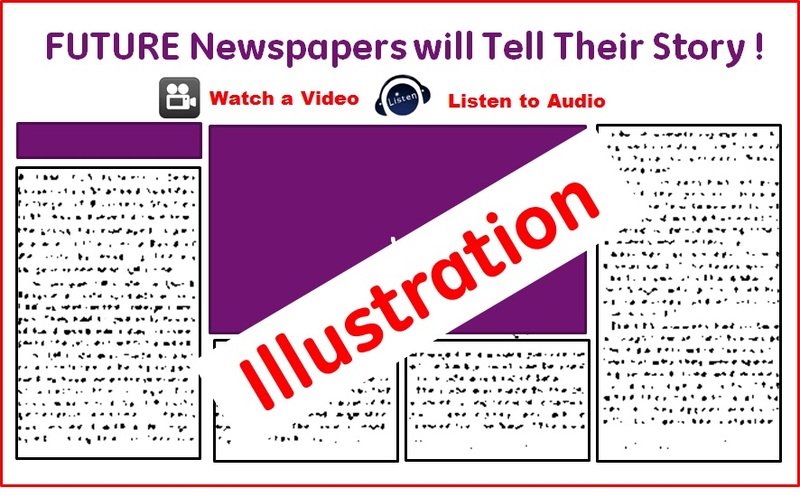 The same would be implemented in the Digital Version of this print paper where-in by just the press of the button - Video or Audio will stream. if the size of the bar-code and the universal adaptability of the scanner issue is resolved then this could be the future of the Manufacturing as well, where-in we could say why only Print news-papers even the machines would be able to sing or tell their story.